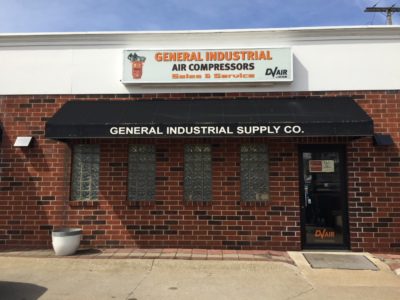 If you are looking for an industrial or commercial air compressor, it’s important to select a unit that meets all of your requirements. Your system needs to perform day-in and day-out to keep your business running. We offer a variety of systems, including rotary screw and reciprocating air compressors. We carry Champion, DV Systems, Campbell Hausfeld, Saylor-Beall and Chicago Pneumatic which are considered to be among the top manufacturers in the industry. Why do we recommend DV Systems/Champion? Why do we recommend Saylor-Beall? We offer some of the industry’s top brands: Champion, DV Systems, Saylor-Beall, Campbell Hausfeld and Chicago Pneumatic air compressors. We can design and install your compressed air system! Contact us at 216.749.2000 for a no-obligation estimate. ©2015 General Industrial. All rights reserved.